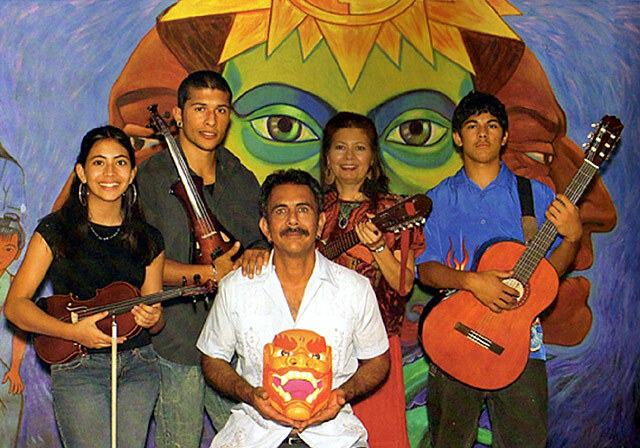 Zarco and Carmen Guerrero perform regularly with their sons Quetzal, 23; Tizoc, 16 and daughter Zarina, who is 14. The children are students of the Suzuki music method and began performing at 4 years of age. They are multi-instrumentalists, dancers and singers. 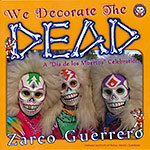 Zarco also performs with his fantastic masks. The Guerrero family has embarked on a musical journey to promote multi cultural appreciation through their concerts, exalting family values and unity. 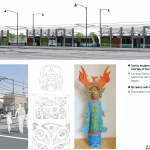 They draw their inspiration from the diverse musical legacy of the Americas. Blending the diverse musical idioms of Brazil, Mexico and Latin America, their music expresses the multicultural musical mosaic of Arizona and the Southwest. 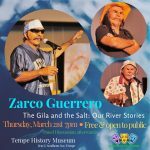 La Familia Guerrero performs regularly throughout Arizona for schools, libraries, festivals, conferences and community audiences. 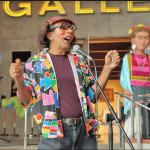 They offer audiences of all ages a spicy concoction of Latin styles including cumbia, salsa and Latin folk. As a group they present a wholesome and positive image of the family, especially refreshing in today’s tumultuous times. Every concert is an intergenerational and family affair that expresses the diversity of Latin music while promoting community and multiculturalism. The Guerrero Family does much more than entertain, they take time to educate their audiences on the history and origins of the music. They also play and compose original songs which address important social issues.